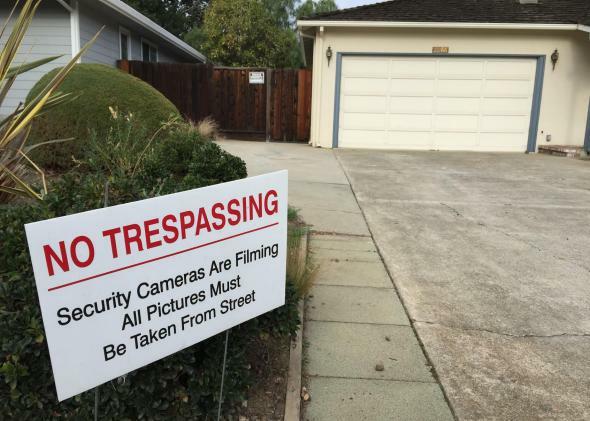 Steve Jobs' garage: My grandmother's house is the birthplace of Apple. This piece was originally published in Zócalo Public Square. To me, my grandma’s house is a second home, but to the rest of the world, it’s the place where Apple Inc. was created. Steve Jobs grew up in this Los Altos house. In 1976, according to oft-repeated legend, he hatched the beginnings of Apple here and put together the first 50 computers in the garage with Apple’s co-founder Steve Wozniak. (Wozniak recently said that they didn’t do any manufacturing in the garage—they just finalized the computers in there. But the garage did represent them better than anywhere else.) In 1989, my paternal grandmother, Marilyn Jobs, married her second husband, Paul Jobs, Steve’s adoptive father. Soon after, my grandma moved into the house with the (not-yet-quite-so) famous garage. As a kid, I always looked forward to going to my grandma’s house. It was a 25-minute drive across the South Bay from where my family lived in San Jose. I always knew we were within five minutes of my grandma’s house when we exited the 280 Freeway onto Foothill Expressway. As we turned onto my grandma’s street, we passed a strip mall with a Chevron Gas Station, a Trader Joe’s, and a Peet’s Coffee. When our car pulled into the driveway, my grandma would open the front door, smiling and waving at us from the porch. I always jumped out of the car and greeted her with one of my biggest hugs. My grandma’s house is where I met my newborn brother for the first time because I was staying with her while my parents were in the hospital. It’s the place I went to after preschool to wait for my parents to pick me up and eat spoonfuls of smooth Skippy peanut butter while curled up in a reclining chair. It’s the place I went when I was sick, snuggling in bed to watch Tom and Jerry. It’s the place where, to this day, my family still goes to celebrate birthdays and eat my grandma’s delicious cake. Throughout my childhood, my parents always mentioned that Grandma’s house was a special place, and to me it was, but in a completely different way. So when I was 10, and my parents told me about the wider significance of my grandma’s house, I shrugged it off with a laugh. How could this quaint place have been Ground Zero for such a world-famous company that steered the course of today’s technology? Despite its celebrity status, this three-bedroom, three-bathroom house built in the early 1950s is a humble place. In the living room, porcelain Lladros figurines, Hummel collectibles, and blue-and-white china fill a curio cabinet by the fireplace. A Japanese bobtail cat named Daisy is always lounging in the small kitchen. A box of Betty Crocker white cake mix and a generic tub of chocolate frosting can always be found in the cupboard, waiting for grandma’s touch of love to make them special. Paul Jobs passed away in 1993, but my grandma still lives there. I’m in college now, 379 miles away in Southern California, but always visit when I come home on breaks. It’s pretty awesome to imagine that some of the first ideas for a world-renowned company were thought of in a place where I spent so much of my childhood. As a graphic-design student, I truly appreciate the innovation that came out of the garage at my grandma’s house. Like so many people, I have an iPhone. When I gaze at it, I’m reminded that technology revolutions have to start somewhere—even if that somewhere is in the garage of a humble home.